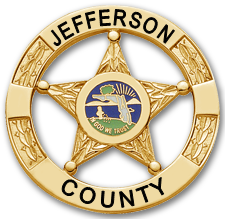 I would like to welcome you to the official website of the Jefferson County Sheriff’s Office. Here you will find information on local law enforcement issues, community service events and links to other public agencies. We have redesigned our site, so please feel free to look around and see some of the new and upgraded features we have. If you have any questions, please visit the Contact Us tab and fill out the form. We will be in touch with you shortly. Thank you for supporting the Jefferson County Sheriff’s Office!